The Manhattan by Ekornes of Norway is a classic style that features beautiful wood trim and unbelievably comfortable cushions. The Manhattan Chair works well when paired with the Manhattan Loveseat or Manhattan Sofa or when put in a room on its own. 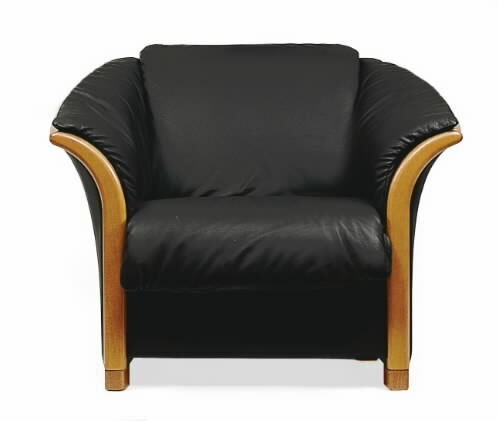 The highest quality engineering, construction and materials makes Ekornes’s chairs and sofas true standouts. Cold cured molded foam is very high in density and resiliency, ensuring that you will be fully supported for years to come. Choose from a huge variety of fabrics or leathers. Special pricing is currently available for the leather colors shown. The European beechwood trim is available in several different stain options.